View customer data or generate offers from everywhere – that´s what the new Software “Lantek iQuoting“makes possible. 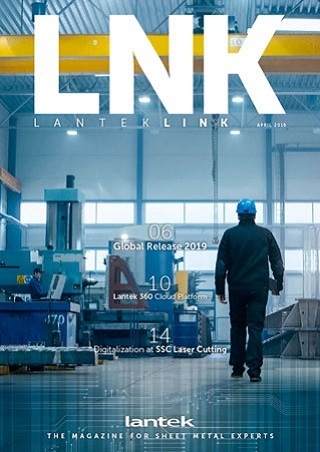 To this end, the specialists of Lantek, a worldwide leader for sheet metal software, have developed a program that connects the company´s MES and ERP systems and accesses the data of the Lantek module "Expert" for nesting, "Manager" for production order management and "Integra". Lantek iQuoting merges all relevant factors like customer tariffs, cost for material and production as well as availability of material, delivery times and logistics. Once the offer is accepted and the order placed, through iQuoting the status of the production can be followed and finally the quotation be generated. For companies in sheet metal processing which would like to offer their customers a modern web shop, iQuoting is the link between the likewise innovative and new software "MetalShop" for online trading and the company´s Lantek software suite.